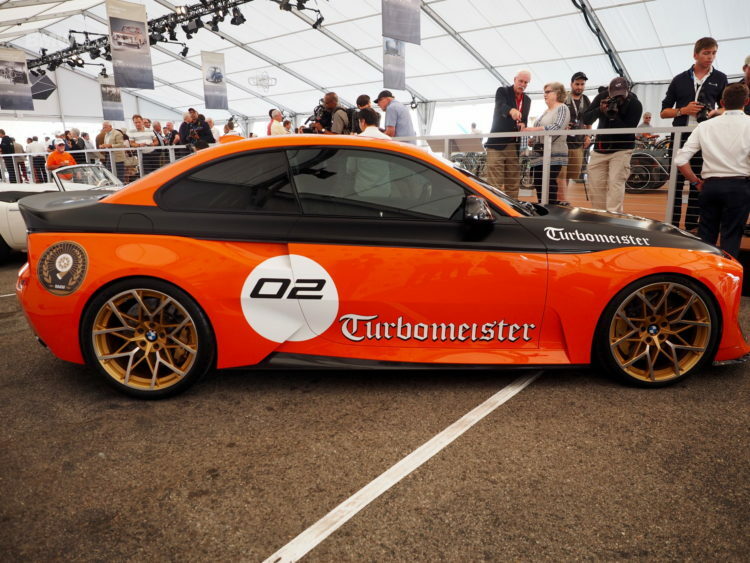 The BMW 2002 Hommage originally debuted a few months ago at the Concorso d’Eleganza in Villa d’Este, essentially a sportier M2 Coupe which evokes the spirit and style of the iconic 2002 Turbo. Now the concept car has undergone a makeover for the Pebble Beach Concourse d’Elegance. 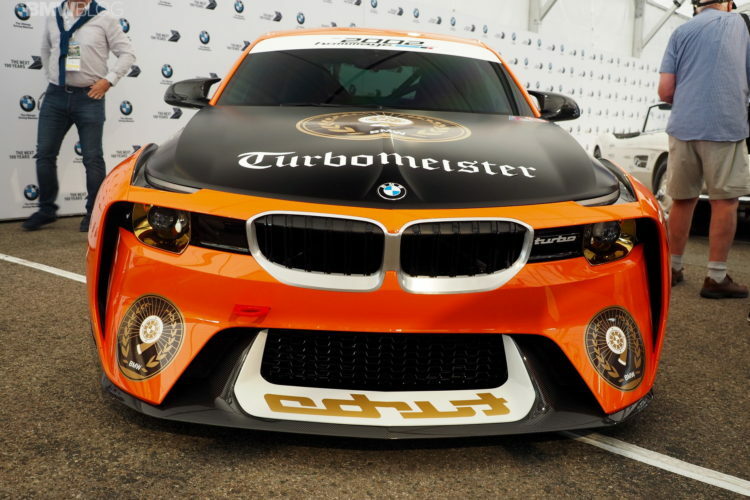 “With its iconic orange/black paintwork, the car has a colour scheme and livery synonymous in the minds of many motor sport fans with the triumphs of the 1970s,” said Karim Habib – BMW Design Chief. Beyond the new paint job, the 2002 Hommage carries over without changes from the Villa d’Este concept. The gold in the headlights is to both honor the “Golden” 50th anniversary of the BMW 2002 and to be vaguely reminiscent of the sort of gold-inited headlights of racing cars back in the day. It’s also wears ‘Turbo’ badges on both the front splitter (backwards, just like the original BMW 2002 Turbo) and on the massive rear wing. 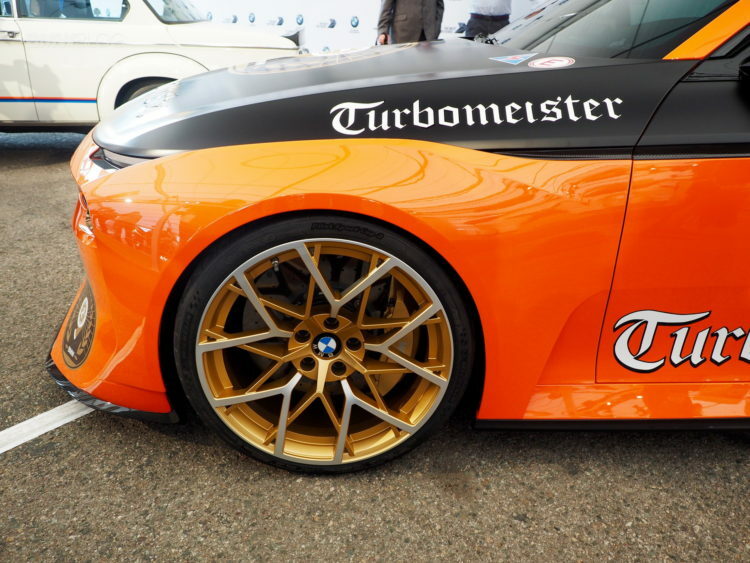 ‘Turbomeister’ badges also adorn the car’s hood, fenders and rear bumper. The taillights are rectangular and horizontal, as BMW resisted the urge to re-create the cutesy round taillights of early ’02 models. Even thought many were hoping for a production series of the BMW 2002 Hommage, the beautiful concept will remain just that – a great, design exercise.